What is overland water protection? ?This coverage is the first of its kind in Canada and provides protection for loss or damages related to water entering your property from the sudden accumulation of water after heavy rains, spring run-off or overflow of lakes and rivers. Overland water protection is available to owners or tenants of houses, condos, rental properties, seasonal or secondary properties where sewer back-up coverage is in place. 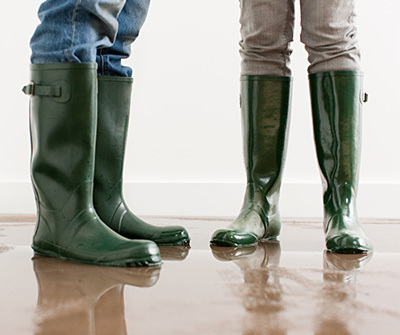 The wording of sewer back-up coverage has been updated to make it clear that it only covers damage caused by water coming into your property from a sewer, septic system or sump pump. If you have a loss due to sewer back-up greater than $1,000, we’ve made it easier to take action to prevent future back-ups and now provide up to $1,000 towards installing devices such as a sump pump or backwater valve that can prevent a future sewer back-up loss from happening. It is available to the majority of customers. However, those located in areas that are highly prone to overland flooding or those with a reverse slope driveway will not be eligible. Contact us at 1-800-668-0250 to determine whether or not your property is eligible. Yes, contact?us at 1-800-668-0250to arrange this coverage immediately. Yes, overland water has its own deductible that’s separate from the overall deductible for your policy. You can choose the amount that’s right for you – $1,000, $2,500, $5,000, $10,000, $25,000 or $50,000. You can choose a higher deductible for overland water – the minimum deductible is $1,000, but you can choose up to $50,000. You can also choose to lower the amount of personal property coverage (covers the contents of your home) that applies to overland water. You can even opt to have no personal property coverage for overland water – so that damage remains covered, but not the contents inside. *Certain terms, conditions, limitations and exclusions apply. Coverage is applicable to new property policies and endorsements in Alberta and Ontario only effective June 1, 2015 or upon renewal effective August 1, 2015 and underwritten by Traders General?Insurance Company, part of the Aviva Insurance Company of Canada.